I didn’t know it at the time, but Wednesday was our last doctor’s appointment before our sweet little baby boy decided it was time to meet his big sister. Most of the time, J set up appointments in the afternoon right before I went to work. I would follow her there with my work gear then leave from the office and head straight to Grand Rapids to go to work. This last appointment ran a little late. The doctor was behind schedule and then they wanted a non-stress test on the baby since we were right at the due date. I called work and said I was going to be about an hour late. Once we finished at the office, I realized I hadn’t eaten lunch yet. I to grab something quick since I was running late to work, but I didn’t want fast food. 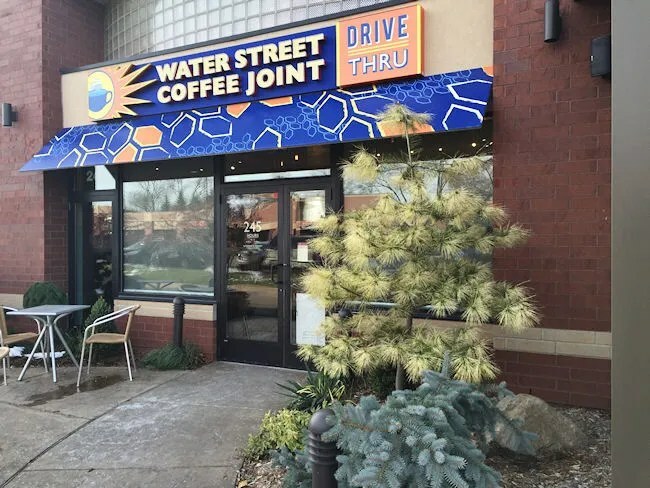 On the way down Centre Avenue in Portage, I spotted Water Street Coffee Joint. We had passed that restaurant everytime we went to a doctor’s appointment, but never stopped. I knew they would be quick and delicious, so I turned off the main road in to Portage Centre Plaza. The Portage Water Street Coffee Joint has been open almost a year. They’re the fourth location of the popular café in the Kalamazoo area. The shop shares a building with Hometown Urgent Care. The space Water Street is in had been vacant for a while before they moved in, so I really don’t even remember what was there before. The thing that really makes this location unique is that it offers a drive-thru. It’s the only Water Street to offer this option. The building is comparable in size to the Oakland location, but it’s familiar to all of the Water Street locations. They have a huge drink menu which is really the focal point of the operation. 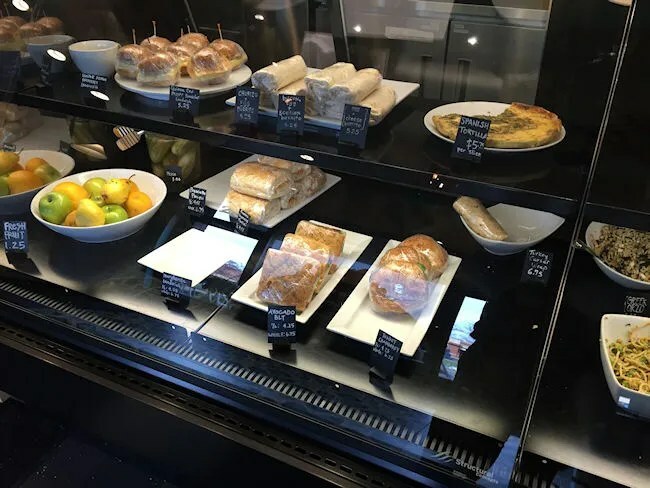 The food menu is always rotating but will typically include breakfast sandwiches, panini’s, salads, and a whole host of sweets. The only way to really know what Water Street has to eat is to just stop in and see. I stopped in on a late Wednesday afternoon. The deli case is right up front when you walk in. The employee was helping a different customer with a drink so I had time to look over the food options. I noticed a panini sort of in the back of the case that had the word Prosciutto in it. When the employee asked what I would like, I pointed at the Prosciutto Panini. The sandwich was unwrapped and put in to a panini press for a few minutes. While it was cooking, my meal was rung up. 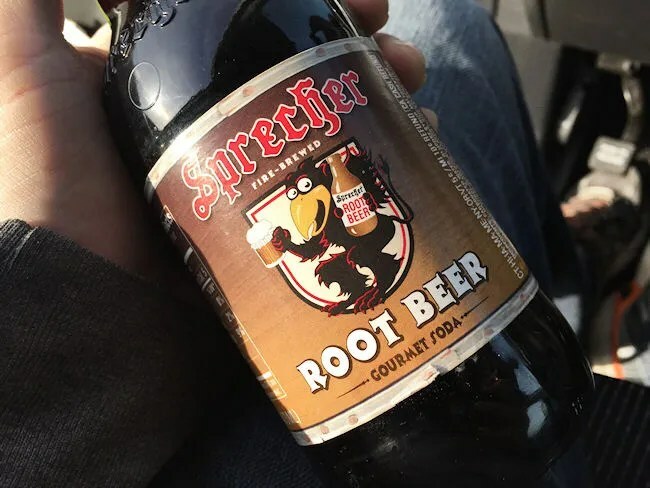 I added a Sprechtler’s Rootbeer to the mix to drink. The total came out to a little under $10 before tip. My sandwich took a little over five minutes to flatten out and crisp up nicely. It was wrapped up for me to take to go then handed over the counter. 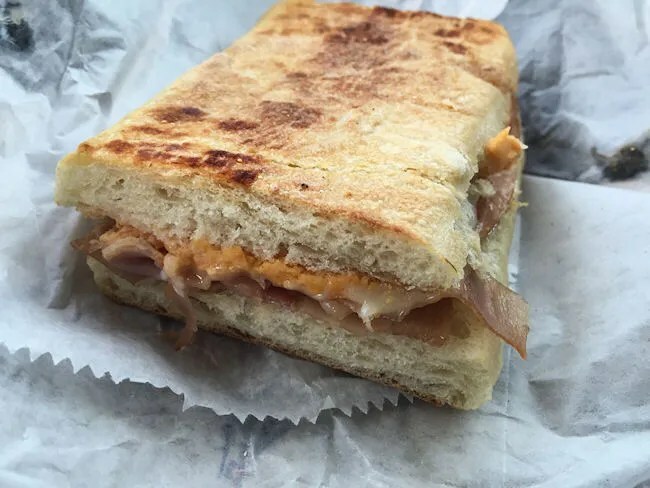 The Prosciutto Panini is actually pretty simple. It consisted of just prosciutto, a cheddar cheese spread, and roasted red peppers. I didn’t really want the red peppers, so I pulled them out before biting in to the crispy sandwich. The sandwich was perfect for eating in the car. The bread was very crispy and delicious and, seriously, you can put prosciutto on anything and it’s going to be delicious. The sandwich was perfect. I needed something quick and delicious and this sandwich was exactly that. 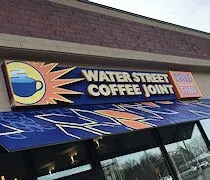 Whenever people think of Water Street Coffee Joint, they always think of it for the obvious reason. Coffee. I don’t drink coffee though so the first couple times I went there, I was either meeting someone or I was in the hospital with my wife. I know now it’s a place that even the non-coffee drinker can stop for a quick lunch anytime. What a lovely post! Thank you. if you ever have any questions, our staff love to talk about the food and to offer samples– so if you are ever unsure, we’d love for you to ask!